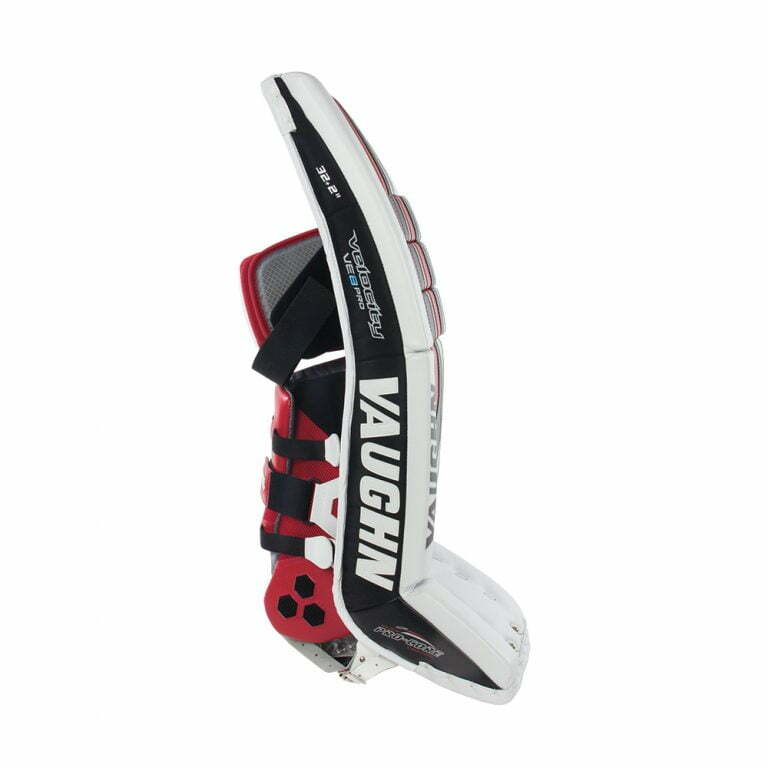 Vaughn Velocity VE8 Pro Goalie Leg Pads | Sports Etc. The new VE8 Pro model leg pad has a traditional full knee roll style construction, which allows for easy flexibility. The pad internal’s now feature the new Pro Core design. This new design provides a full length and width frontal foam core that keeps the pad consistent in height and width yet still has the foam flex stuffing next to the leg so the pad can fully conform to leg and break-in to the individual’s style of play. 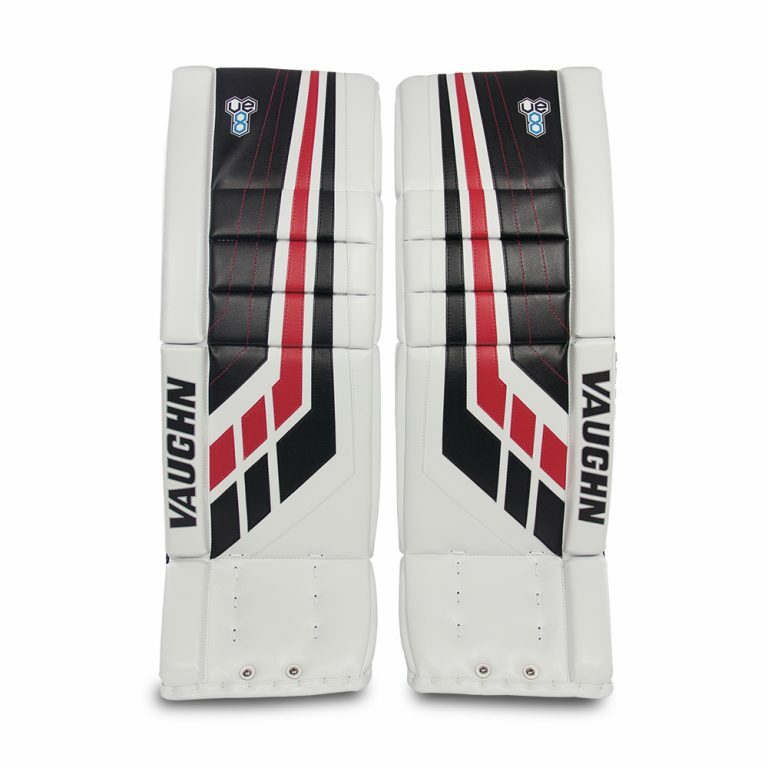 This design preserves the incredible feel, control, and rebound that the Velocity pad is famous for. 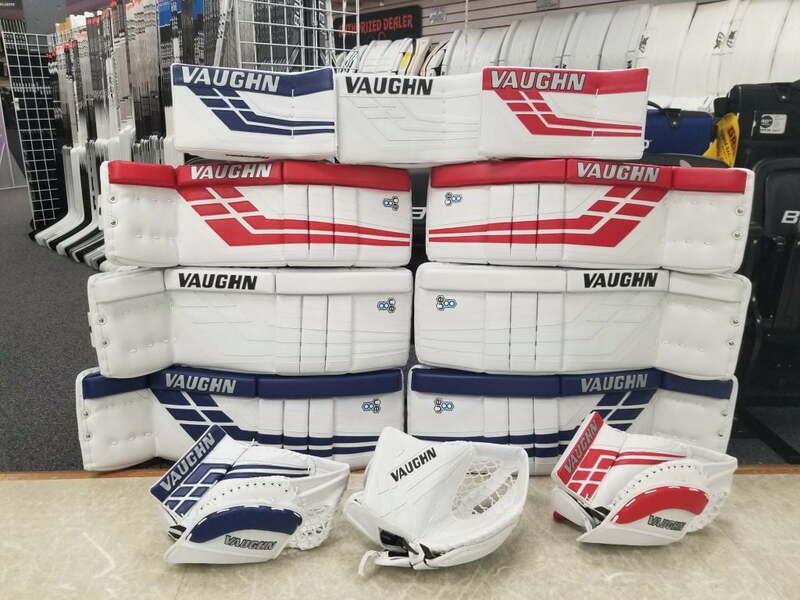 Sports Etc Performance To Value Rating– 9 out of 10- Vaughn’s traditional full knee roll, senior style goalie leg pad, which is great for all ages. 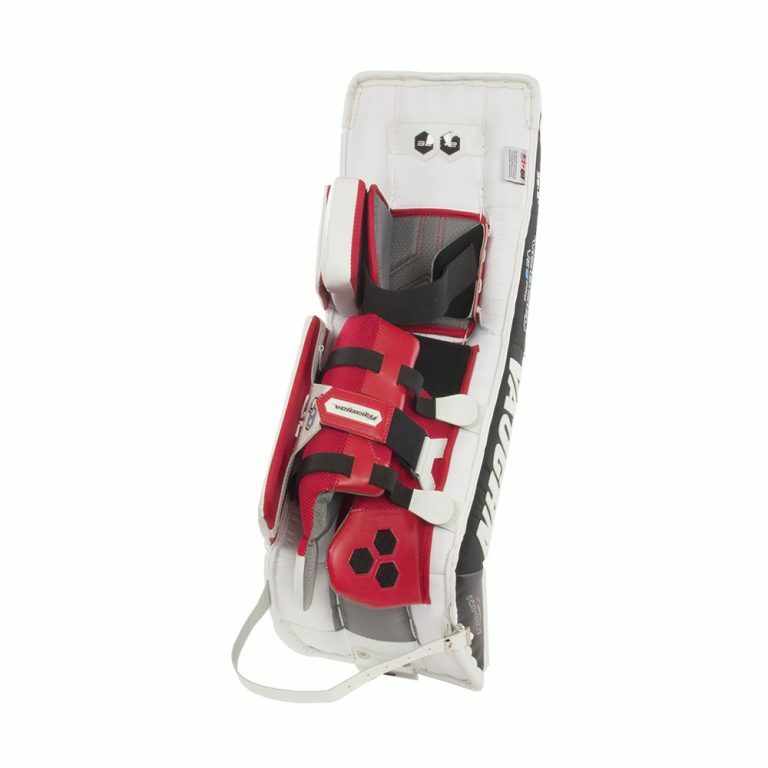 A pro level leg pad, at a senior level price.